Formulated with 8% Glycolic Acid and 2% Citric Acid, this light, translucent, exfoliating moisturizer and cell renewal treatment relieves dry, rough and environmentally damaged skin, while helping prevent further oxidative damage. Provides treatment for non-sensitive skin on the face, hands and body. Ideal for treatment and prevention of Keratosis Pilaris, commonly known as Chicken Skin. 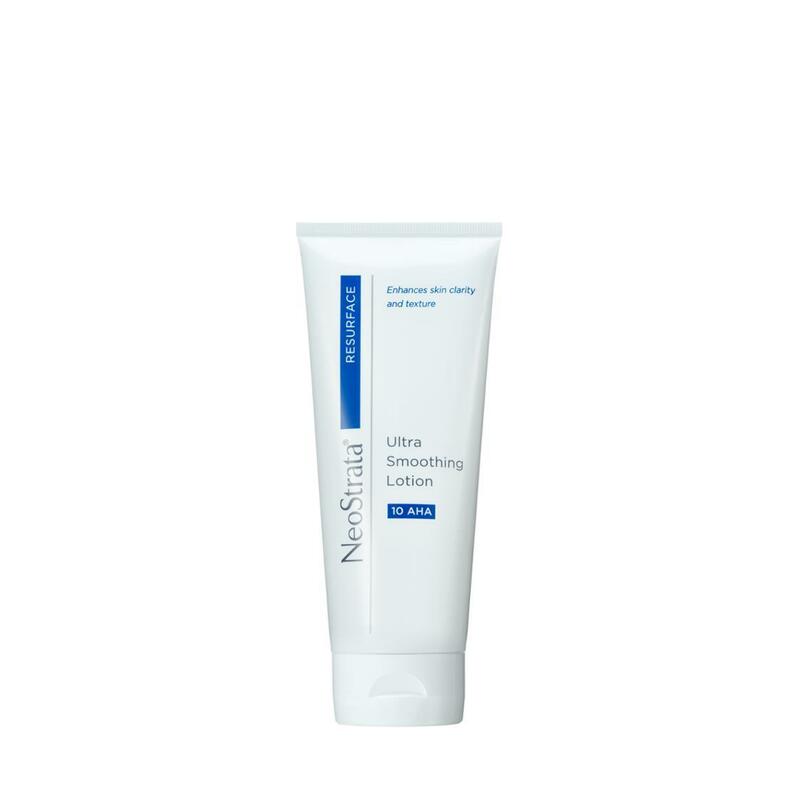 It increases cell turnover, banishing dry, flaky skin and revealing a new, smooth, radiant texture. Fragrance-Free. Directions: Apply to the face, hands and/or body once daily or for two weeks and twice daily thereafter, as tolerated. Gently smooth in the lotion until it disappears. Daily use of sunscreen or sun avoidance is recommended with use of this AHA product and for one week after to minimize the risk of sun sensitivity/sunburn. Daily use of a sunscreen with this product is recommended. Ingredients: Aqua (Water), Glycolic Acid, Propylene Glycol, Citric Acid, Arginine, Dimethicone, PEG-40 Stearate, Trimethylpropane Triethylhexanoate, Tocopheryl (Vitamin E) Acetate, Glyceryl Stearate, PEG-100 Stearate, Isopropyl Palmitate, Mangifera Indica (Mango Butter), Cetearyl Alcohol, Cetyl Hydroxyethylcellulose, Xanthan Gum, Ammonium Hydroxide, Butylene Glycol, Glycerin, Stearamidopropyl Dimethylamine, Stearic Acid, Chlorphenesin, Methylparaben, Disodium EDTA.